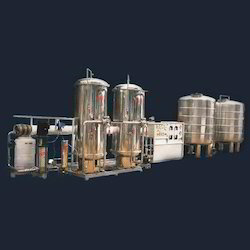 Prominent & Leading Manufacturer from Rajkot, we offer mineral water treatment plant, industrial mineral water plant, mineral water purification plant, ss mineral water plant and water purifiers. Our firm is instrumental in manufacturing and supplying our clients a wide range of Mineral Water Treatment Plant. 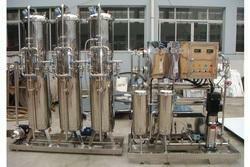 This water plant is developed by finest material & leading technology in adherence with international quality standards. Offered water plant is available in different stipulations to meet the needs of our patrons. Our offered range of water plant is tested on numerous parameters of quality so as to dispatch a flawless range. Backed by rich experience, we have emerged as the leading organization engaged in providing Industrial Mineral Water Plant. The offered water plant is highly valued in the market for its smooth performance. This water plant is developed by our competent professionals utilizing quality raw material and leading technology. Our clientele can avail this water plant from us at affordable rates from us. We are a recognized entity involved in offering a broad assortment of Mineral Water Purification Plant. The given water plant removes dissolved impurities from water & improves its taste. This water plant is designed by the optimum quality material under the supervision of professionals. We test this water plant on a number of quality provisions for dispatching a defect-free range at customer’s end. 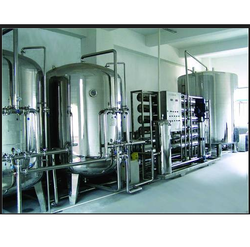 Since our inception, we are instrumental in offering premium quality SS Mineral Water Plant. Besides being manufactured from superior quality raw material and most up-to-date technology, the offered plant is examined accurately by our specialist. In arrears to characteristics like stability and best quality, the offered plant is superbly treasured by our valuable clients. The offered plant is accessible with us in various stipulations and at an inexpensive price. We are a recognized entity involved in offering a broad assortment of Mineral Water Purifiers. The given water plant removes dissolved impurities from water & improves its taste. This water plant is designed by the optimum quality material under the supervision of professionals. We test this water plant on a number of quality provisions for dispatching a defect free range at customer’s end.